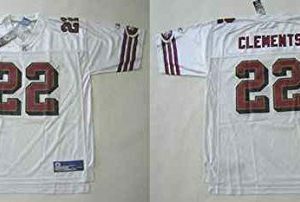 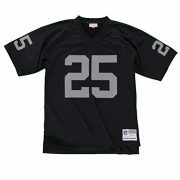 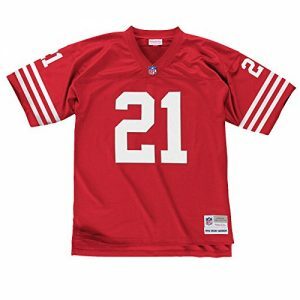 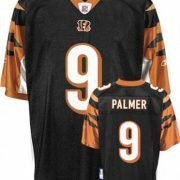 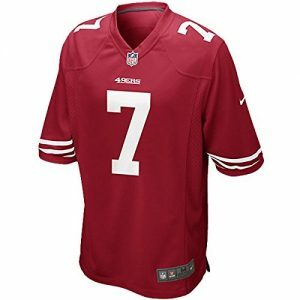 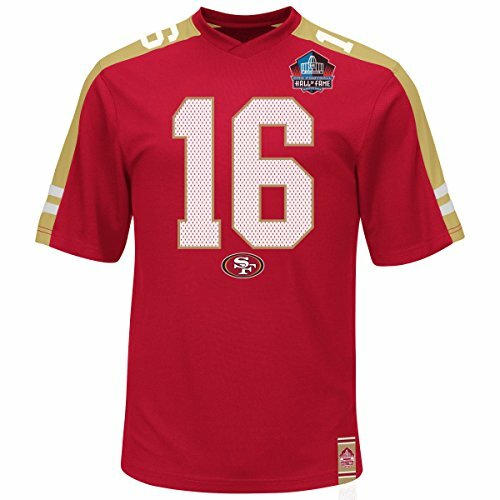 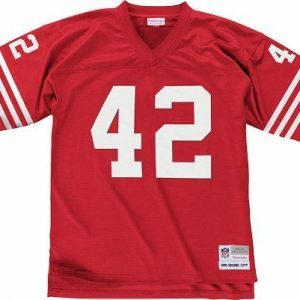 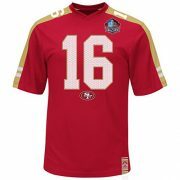 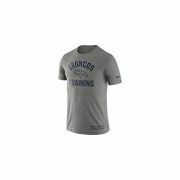 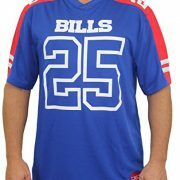 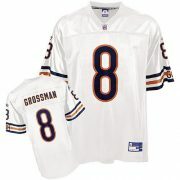 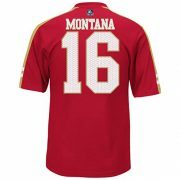 This NFL Hall of Fame player name and number jersey shirt features screenprint authentic player name and number and team wordmark & logo. 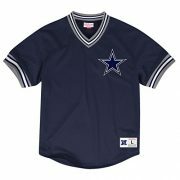 Also features colorblocked shoulder piecing, screenprinted player number on each shoulder, Hall of Fame logo, woven jock tag, side vents, set on sleeve stripes, and is made of 100% polyester double knit mesh. 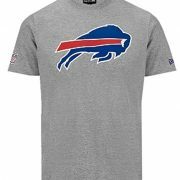 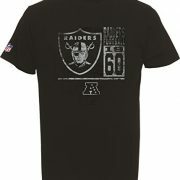 Manufactured by Majestic and officially licensed by the NFL.